Let's be real, travelling as a vegan can be intimidating. Especially if you've just recently adopted a plant-based diet and it doesn't feel totally natural yet. 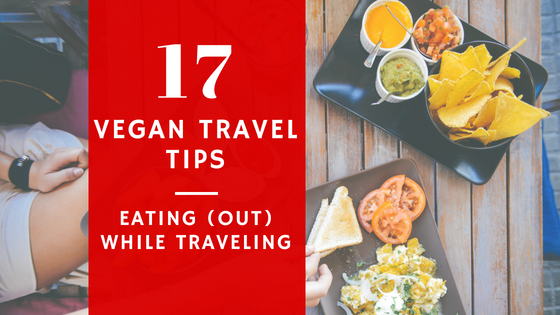 It can be a challenge to travel and still stick to your vegan diet while also not eating junk food all the time. 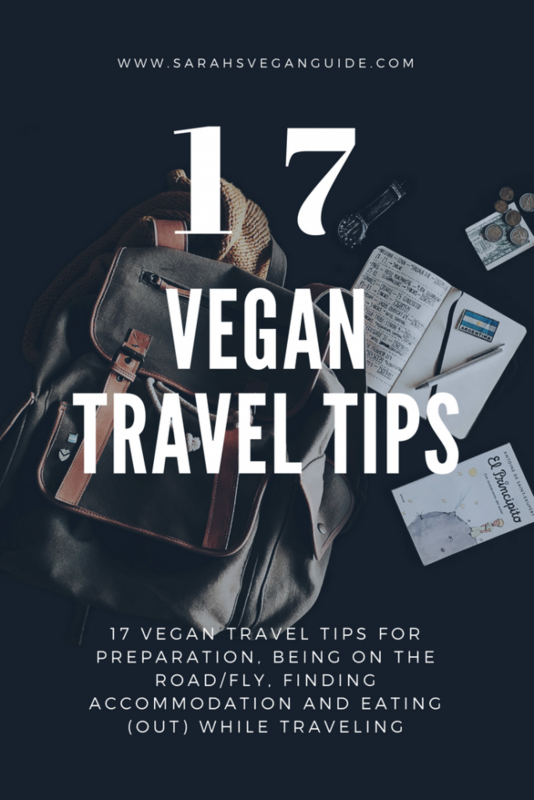 With these 17 vegan travel tips, you'll be perfectly prepared for your next adventure - whether it's exploring a metropolis, hiking in the mountains or relaxing at the beach! Berlin, Germany: The capital of Germany is also referred to Europe's vegan capital. You'll not only find cheap vegan meals but also vegan clothing and lifestyle stores. Tel Aviv, Israel: Tel Aviv has over 400 vegan or vegan-friendly restaurants for you to choose from and is home to the world's largest vegan festival Vegan-Fest Tel Aviv. Toronto, Canada is home to the Veg Food Fest that takes place in fall and many other vegan-themed events throughout the year. Turin, Italy: It's the first "vegetarian city" of Italy with over 30 vegan or vegetarian restaurants which is pretty impressive for the city size. If you're unsure and can't decide between several options, it's always a good idea to do some research in advance. Take a look at HappyCow which is basically a huge database for vegan and vegan-friendly restaurants all over the world. You can also check out Instagram or Pinterest by searching for hashtags such as #veganmadrid or #veganmiami. 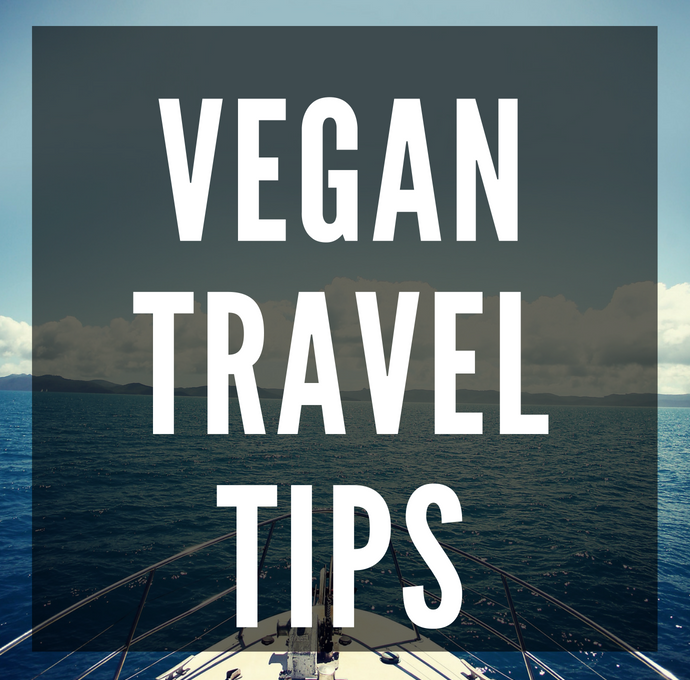 Another great tip is to search for vegan travel blogs on google. I like to search for "Destination blog vegan restaurants" to find blog posts with restaurant reviews. You can find my restaurant reviews from cities around the world here. Does this have eggs in it? Is it possible to make without cheese? I also like to make a memo on my phone where I save all the translations or carry a piece of paper with me in case I forget the exact words. My number 1 rule for traveling as a vegan is to always have a snack on hand - because you never know. Great snacks to take with you are cereal bars, dried fruits, nuts, energy bars, sandwiches, fruit and ready-to-eat veggies such as tomatoes or cucumbers. Energy bars and trail mixes are especially great because you can easily take them on a plane as well! Porridge: Mix some oats with whatever toppings/add-ons you like such as cocoa powder, dried fruit, chia seeds, hemp seeds or nuts. You can take this mixture in a ziplock bag and all you need to do on the plane is ask for a cup of hot water to enjoy a warm meal. Instant Couscous: Another option is to bring along some instant couscous which you only need to add hot water to. Similar to the porridge, you can add cut up carrots, peas or nuts before to give it more texture and flavor. You don't want to end up at the airport during a layover with no options to eat. Therefore, it's a good idea to know your flight schedule and plan ahead. If you just have a medium length flight, you might be good to go by just eating a large meal before you leave home for the airport. If you do have a long flight or a layover, bring some snacks or small meals along (see tip 5). There's actually more and more 100% plant-based hotels and accommodations that are opening all over the world, so it's always worth a try searching for all-vegan accommodation on the internet. Who knows, maybe you'll be planning your next vacation based on an awesome vegan hotel you'd like to visit? 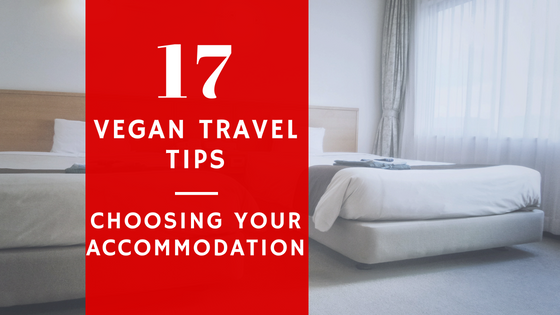 If you're staying in a hotel or hostel that is not 100% vegan, there's nothing wrong with contacting them beforehand and asking if there's any vegan options available. Even if you're already at the hotel, don't be shy to ask the staff and ask them about the food and what's in it. I once stayed in a hotel in Madrid and when I asked the chef if the pasta sauce was made with dairy, he actually offered to freshly prepare a completely vegan meal for me! Staying in an apartment can be a great way to a) ensure you can enjoy healthy, vegan food throughout your stay and b) save money. Apartments are often not only cheaper than staying in a hotel, cooking yourself is also much cheaper than eating out. When you're staying at an apartment, you can also prepare a quick lunch meal to take with you while you explore your destination. If you're struggling with finding vegan food in supermarkets, try searching for health shops on google or maps. These shops typically have more health-conscious and vegan options available. 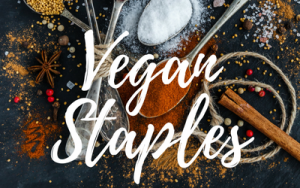 A great idea is to bring along some vegan kitchen staples such as spices, chia seeds, cacao/carob/maca powder, hemp seeds, flaxseed or nutritional yeast that you might not find where you are traveling to. Because you only need small amounts, you can just put them in a few ziplock bags to take with you. Especially if you're staying in an apartment with a kitchen, bringing a few spice mixes will instantly make your food so much tastier with such little effort. When you're traveling to a new country or region, make sure to look up the local cuisine and familiarize yourself with the typical dishes. Who knows - maybe some of them are already vegan by default? Most of the time, restaurants don't explicitly label their vegan meals as vegan, so it's always good to know the ingredients of the typical local dishes so you're able to identify vegan options for you. You might also realize that some typical local dishes can easily be veganized. If you're traveling to Greece, Greek salad is actually a great choice if you ask to leave out the feta. In many places around the world, businesses, supermarkets and sometimes also restaurants are closed on Sundays. In Spain, restaurants are closed during the afternoon for siesta. Make sure to check these local customs before you travel so you can plan accordingly. Some cuisines are more vegan-friendly than others. Amongst the vegan-friendly ones are ethiopian, indian, mexican, mediterranean and thai. Look out for these cuisines if you're looking for a restaurant. For example, mexian food consists mostly of rice and beans so it's a great choice if you leave out the sour cream. Curries and stir-fries are also often easily adaptable. It's often the locals who know the best places to eat - and that's also true for vegan places. I like to look for "Vegan in XY" groups on Facebook where you can often find a lot of great recommendations for vegan and vegan-friendly restaurants. Also, don't be shy to ask for advice in those groups! 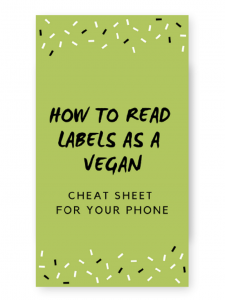 Of course, it's important to know some parts of the language when you're trying to communicate with locals that you're following a vegan diet. But most often, it's not the language barrier that's the problem. You might also come across cultural barriers when you're trying to explain veganism because the concept of veganism might be totally new to your counterpart. In Latin America, you might be better understood if you explain you have an allergy towards certain foods. In other parts such as Asia, you could explain it with religious beliefs for a better understanding. I've saved the most important tip for last - be open and be grateful. 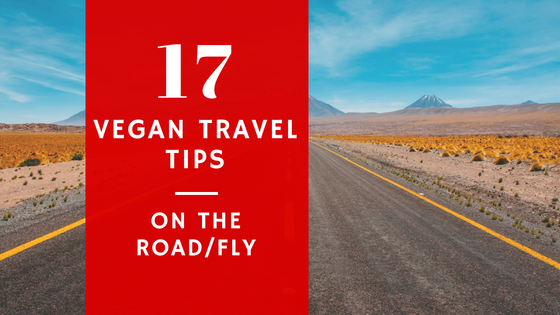 Trying to follow a vegan diet should not limit you while you're traveling. Instead, it can be a great opportunity to try new dishes and get to know people from all over the world. 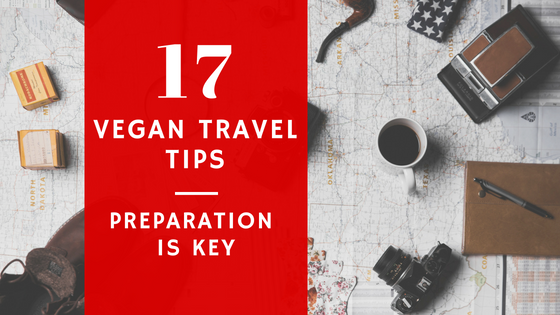 When you're asking for vegan options or suggesting to veganize something, keep in mind that the concept of veganism might not be fully known where you are traveling to. Instead of being demanding, be kind, curious and express gratitude towards those who kindly adapt to you! I think we should accept all cultures and attitudes, and leading by example is a great way to promote veganism in a non-obtrusive but convincing way.